Intel Senior VP Greg Bryant (aka “GB”) set the stage at Intel’s keynote by reminding the audience that “the PC is where people do what is most important to them.” In other words, PCs were going to be the topic du jour versus, let’s say drones or IOT-infused BMX bikes that today. And, GB is right about PCs with very few exceptions. When my daughters grew up, they both spent less time on their phones and more time on their PCs when they had to get schoolwork or work done. The death of the PC was greatly exaggerated as it has adopted features we love from the tablet and the smartphone (thin, light, 10-hour battery life, app store, instant biometric “on”) and kept the performance and flexibility. At CES Intel gave more information on its next CPU code-named “Ice Lake,” a 10nm PC processor built upon Intel’s Sunny Cove microarchitecture. 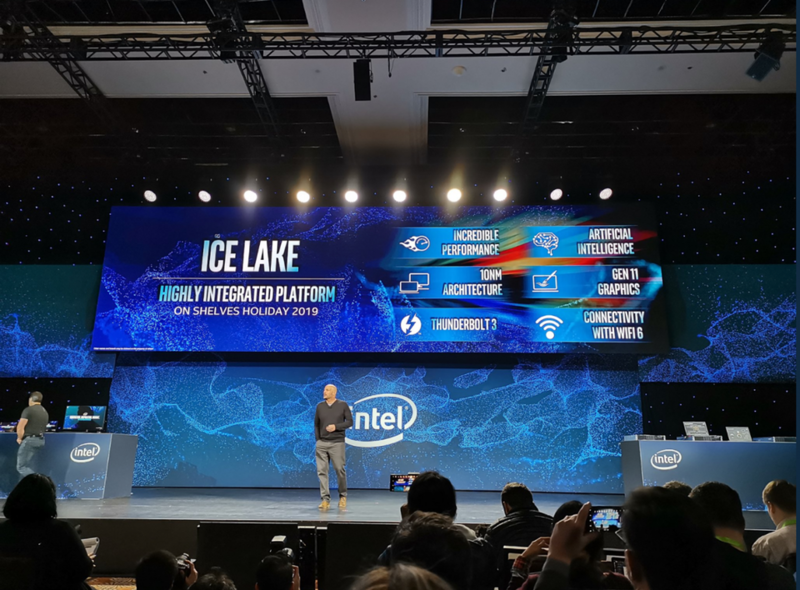 Ice Lake will feature over 1 TFLOP of performance, AI capabilities (such as on-device accelerated inference), Intel’s new Gen11 graphics, Thunderbolt 3, and Wi-Fi 6 connectivity. The company says its OEM partners are projected to have devices shipping with Ice Lake by the end of 2019. I’m guessing for the October “holiday” time frame, not for back to school in August. Additionally, Intel took the opportunity to preview a new client platform code-named “Lakefield.” Lakefield is significant, chiefly, because it will be the first to feature Intel’s new Foveros 3D packaging technology (which it unveiled last month and I wrote about here). Foveros utilizes 3D die stacking to enable logic-on-logic integration. The hybrid CPU platform will feature five cores—four Intel Atom “little” cores and one 10-nm Sunny Cove “big” core—which Intel says will deliver low-power efficiency for graphics, memory, and more. A key advantage to Lakefield, according to Intel, is that the small form factor of its board makes it well-suited for thin and light devices. I am most excited to see the new form factors that could come out of it with displays less than 11” with PC performance. I am envisioning a phablet-sized device that folds out to a full tablet size device with full PC performance and good battery life. Foveros is the industry’s long-term direction for larger-packaged devices and Intel appears to be leading the way. It still has a lot to prove on power, performance, and cost with Foveros but it still is exciting given it has done logic stacking. 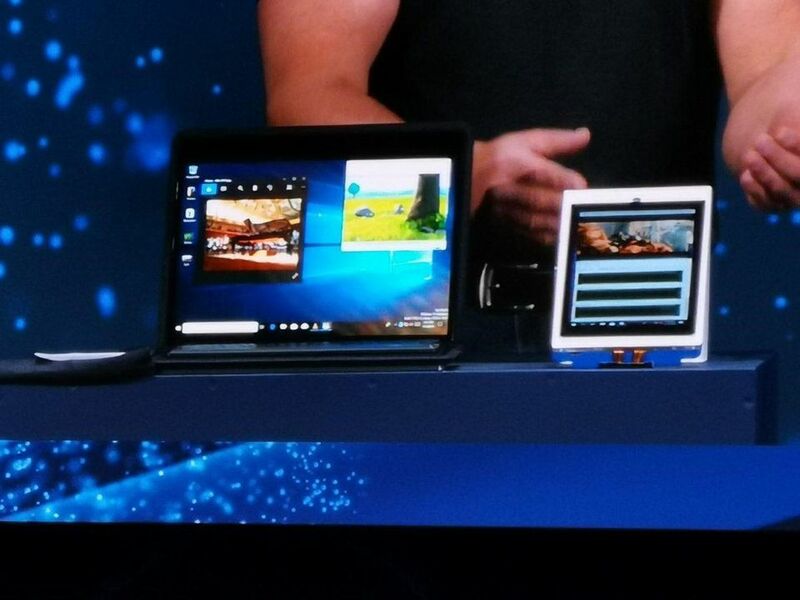 Intel also announced at the event its new Project Athena innovation program. Project Athena is designed to bring “a new class of advanced laptops” to market that enable next-generation technologies such as AI and 5G. Project Athena will function by outlining platform requirements (on an annual basis), providing benchmarking targets, providing co-engineering support, enabling ecosystem collaboration, and eventually, providing comprehensive certification of Project Athena devices. Intel says these new laptops will bring world-class performance, battery life, and connectivity, with the first devices coming later this year. Most of the major manufacturers on board with the initiative, including the likes of Acer, Asus, Dell, Google, HP Inc., Lenovo, Microsoft, and others. I applaud Intel for this latest attempt to raise the entire bar of notebooks. My top goal is for the project to address improved battery life, improved battery life metrics and always on states like smartphones. 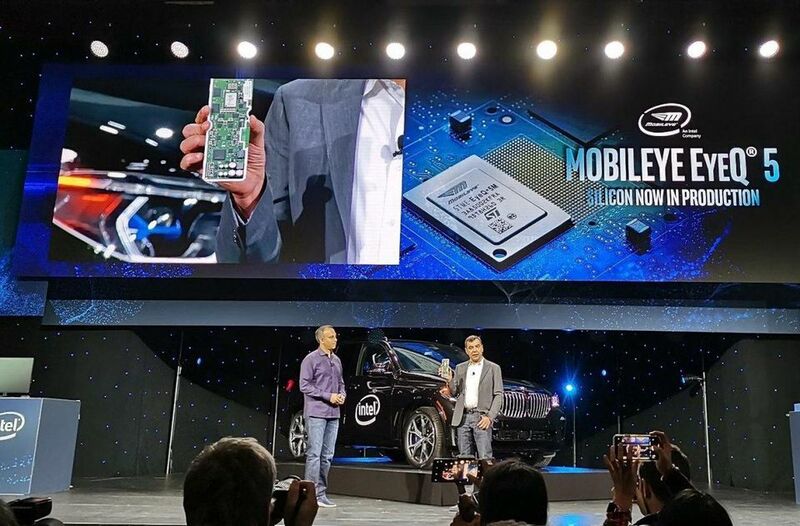 Intel and its Mobileye subsidiary utilized CES 2019 to unveil several new partnerships and progress updates on their efforts in the realm of autonomous driving. Intel has made impressive inroads in this sector in the last couple of years (read my prior coverage here), and we’re beginning to see some real world use cases of its technology. A new partnership with U.K.-based Ordnance Survey was announced, in which utility vehicles will be outfitted with Mobileye’s 8 Connect automotive camera systems to map the UK for autonomous vehicles. Ordnance Survey specializes in geospatial technology, which, when paired with Mobileye’s camera-based mapping ability, promises to deliver high-precision location data for a variety of next-generation use cases. Additionally, Mobileye announced it was exploring a collaboration with Beijing Public Transport Corporation and Beijing Beytai to deploy autonomous public transport services in China. It’s hard to gauge exactly where Intel’s MobilEye is compared to NVIDIA but one of my near-term goals is to figure this out. The industry is so nascent that it’s hard to tell what is real related to Tier 1 and automaker announcements and what are just agreements to work together to see if there’s something there in the future. 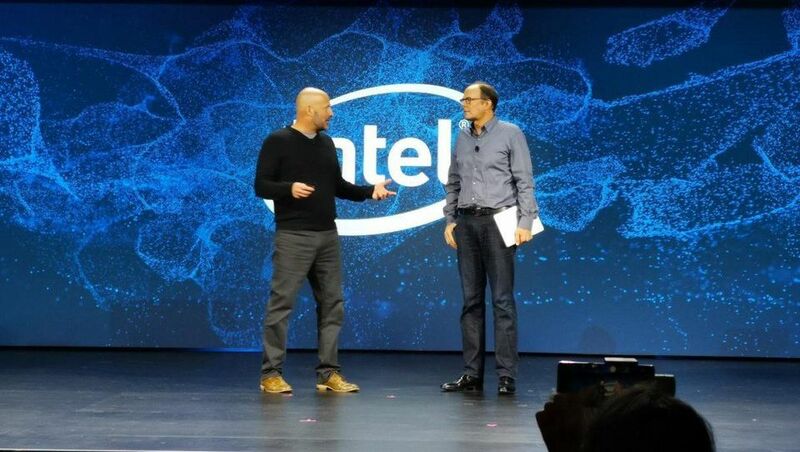 While Intel’s CES 2019 showing was less of a dog and pony show as with prior years, I liked its “back to the basics”. We’re going to see a lot more from Ice Lake and Lakefield in the coming year(s), and it was great to get some glimpse at what’s to come. I can’t wait to get my hands on the first Project Athena-certified premium laptops when they hit the market later this year, and I’m also looking forward to seeing just what Intel’s 9th Gen Intel Core processors can do. Intel continues its push into the autonomous driving sector, with the promising new Mobileye projects. 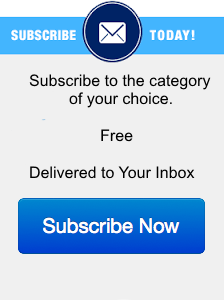 I’ll be following all of this with interest.